Matajiwa would gracefully dives into it with the equilibrium sides of life. Spirituality wealth. They write songs as their sacredly benediction, and we’re gonna religiously embrace it upon widely open eyes and soul. The music are primitive and sprawled, pass through the definition of just merely popular; dug into their fatherland roots, Indonesia, fuse it contemporerly with a blues mentality and native rock that they have, which scaterred by kettledrums, dances and compassionate chants – joggle with realm cosmos dream named world music landscape. We will be made to tremble, solitude, but at the same time celebrating mirth on the beauty of irony, reflection and mind contemplation. 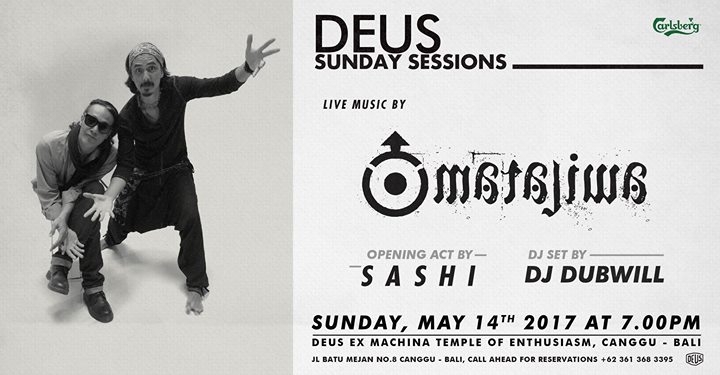 Also don’t miss Sashi, who's going to warm up the Temple’s backyard! Great tunes from DJ Dubwill all night long!